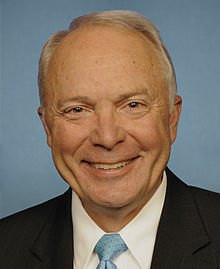 Representative John Kline, Republican of Minnesota, chairs the House Education and the Workforce Committee. He also is a living symbol of the Republican Party's shameful loyalty to big for-profit colleges that have added to the corruption of U.S. politics, systematically ripped off taxpayers, and ruined the futures of countless students. On Friday, Rep. Kline will be the keynote speaker at the annual conference of the Minnesota Career College Association, the trade group for the state's for-profit colleges. Not all for-profit college programs are bad; some work hard to train students for careers. But the Minnesota organization includes schools owned by some of the industry's worst predators -- described below. Kline, USA Today reported over the summer, "saw a dramatic upsurge in campaign contributions from for-profit colleges in recent months," at the same time that he has advanced a bill that would shield for-profit colleges from greater accountability for waste, fraud, and abuse. Kline's legislation has the ridiculous name the "Supporting Academic Freedom through Regulatory Relief Act," but it has nothing to do with actual academic freedom. Instead, Kline's bill is about blocking the Obama administration from issuing a new "gainful employment" rule that would end taxpayer support for career training programs that consistently leave students with insurmountable loan debt. The bill is also about relaxing federal standards so for-profit college boiler room operations can more easily engage in coercive recruiting of students. Kline, along with the rest of the GOP senior leadership in the House, has consistently worked to protect for-profit colleges from serious accountability. This posture is disturbing, given that many of the big for-profit colleges receive close to 90 percent of money from federal financial aid. (Kline also is now hustling to defeat Senate legislation that would require for-profit colleges to earn a slightly larger share of their revenue from sources besides the federal government.) The for-profit colleges industry is not really a free-market operation; it's a government program, costing taxpayers about $32 billion a year, about a quarter of all federal student aid. Small-government Republicans should be coming down hard on a program that delivers so little value for the federal dollar. $138,350 in the second quarter of 2013 from the for-profit college industry -- almost 25 percent of the money he raised in that period for his campaign and political action committee. (Third-quarter data was due to be filed yesterday with the Federal Election Commission.) Some of the biggest donors to to Kline's PAC were executives of the for-profit colleges ITT Technical Institute (see below), $13,050, and Apollo Group / University of Phoenix, $11,600. Some other members of the Minnesota congressional delegation have shown support for the industry. A number of big for-profit schools are headquartered in the state -- Globe University, Rasmussen College, Walden University, Capella University -- meaning jobs for Minnesotans. (Quite a few for-profit colleges were among the employers who participated in a a job fair Klein held in his district over the summer.) But since most of those jobs are supported by taxpayers, the question is, could we be using that federal money to create jobs and support businesses that are actually helping people? For-profit colleges can help people, but Kline should be using his leadership position to shape federal policy in a way that would give all for-profit college strong incentives to do so. Instead, Kline supports policies that have fueled a ten-year race to the bottom, where for-profit colleges instead know that the more they mislead and abuse students, the more money they can make. Career Education Corp. (CEC), one of the biggest for-profit college companies, which in August settled with New York state's attorney general by agreeing to pay $10.25 million in fines and restitution to students over charges that it significantly inflated its job placement rates in communicating with students, accreditors, and government officials. In June, a California arbitrator awarded Anna Berkowitz $217,000 in the first of over 1,000 claims filed against CEC's Le Cordon Bleu College of Culinary Arts in Pasadena. The arbitrator ruled that CEC committed fraud when its staff told Berkowitz that borrowing $40,000 to pay for eight months of training at the school would make her "a shoe-in" to land a job as a pastry chef earning $75,000 a year to start. Arbitrators are notorious for favoring defendants -- that's why so many corporations force consumers into arbitration clauses -- but Berkowitz's lawyer, Michael Kelly, explained to me that he presented voluminous evidence that CEC's misleading recruiting is choreographed from headquarters. Education Management Corp. (EDMC), the second largest business in the industry, marked by exorbitant prices and high dropout and loan default rates. The U.S. Justice Department and half a dozen states have sued EDMC for fraud, alleging the company paid its recruiters based on the number of students signed up, in violation of federal rules. The Attorneys General of Florida and New York are investigating EDMC schools for alleged misrepresentations to students and state authorities about matters including costs, financial aid, job placement rates, and accreditation. Kentucky's Attorney General is suing the company over alleged recruiting abuses. The Securities and Exchange Commission also is investigating EDMC. ITT Technical Institute. Rashidah Smallwood told a 2011 Washington, DC, event that she was fired as a financial aid administrator at ITT Tech in Texas after refusing to cooperate in what she considered systematic fraud to maximize federal dollars. Kentucky students recently sued ITT in Louisville, claiming the school misled them about costs, graduation requirements, transferability of credits, and other matters. ITT also appears to use a range of tricks to artificially reduce the student loan default rates it reports to the U.S. Department of Education. Globe University. In 2011, Minnesota-based Globe's chief operating officer was invited to testify before Kline's congressional committee, and she firmly opposed the Obama gainful employment rule. Now we might have a better idea why Globe might have been so opposed to being held to a higher standard of accountability. In August, former Globe dean Heidi Weber won a $395,000 jury verdict against the company. Weber alleged that she was fired for complaining that Globe used phony job placement statistics and engaged in other misconduct to recruit students. Earlier this month, Minneapolis attorneys Clayton Halunen and Scott Carlson, who represent Weber, filed a class action lawsuit on behalf of Globe students, claiming that the company "systematically and deliberately" misleads prospective students about job placement numbers, likely starting salaries, accreditation, and transferability of credits. I recently met with Halunen and Carlson, and they mean business -- they want justice for Minnesota students who have been left much worse than when they enrolled at for-profit schools. It's troubling that John Kline, formally the top education leader in the House of Representatives, isn't himself standing up for students - the veterans, single parents, and others striving to build better lives. Instead, he seems to be devoted to the predatory for-profit colleges that fund his political ambitions with money made from abuse of those students.